The shrill debate over love jihad is back again following a spate of recent incidents. 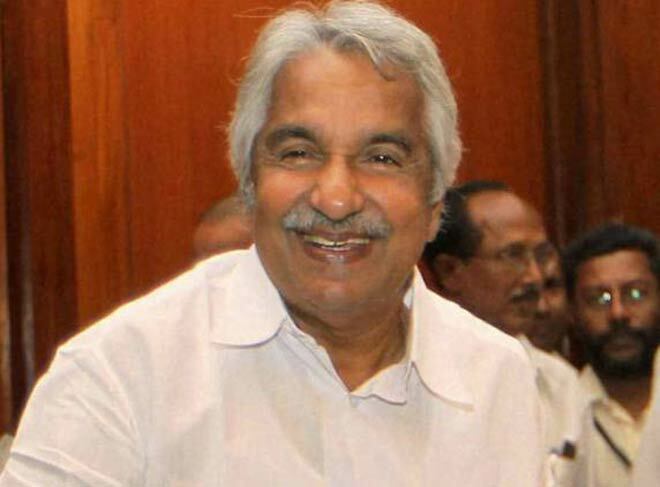 On June 25, Kerala Chief Minister Oommen Chandy informed the state legislature that 2667 young women were converted to Islam in the state since 2006. On June 27, the state high court ordered the Kozhikode City Police Commissioner on June 27 to probe an alleged case of “love jihad” in which a 20-year-old Hindu girl eloped from a hospital in Kochi with a Muslim boy after the girl’s parents filed a habeas corpus petition. On July 19, Deepa Cherian (31) a former Christian housewife converted to Islam was arrested for allegedly delivering SIM cards to a key terror suspect languishing in prison.Chandy gave the figures related to conversions in state legislature as a written answer to an unstarred question raised by K K Latika, a CPI(M) legislator. According to Chief Minister a total number of 7713 persons were converted to Islam during 2006-2012 as against 2803 conversions to Hinduism. Interestingly he said no statistics was available as to the number converted to Christianity during the period. Among those converted to Islam during 2009-12, as many as 2667 were young women of which 2195 were Hindus and 492 were Christians. As against this number of young women converted during 2009-12 to Christianity and Hinduism were 79 and two respectively. Chief Minister said there was no information regarding the original religions of women who converted to Hinduism and Christianity. However Chandy said that there was no evidence for forced conversions in the state and the fears about love jihad were baseless. “We will not allow forcible conversions. Nor will we allow to spread hate campaign against Muslims in the name of love jihad” said Chandy in response to Lathika’s demand for inquiry into forcible conversions. Hindu and Christian groups are up in arms again repeating their long-standing demand for a thorough investigation into the phenomenon of “love jihad” in which Muslim youths allegedly lure young women from other communities to convert to Islam feigning love. “Love Jihad in Kerala is part of global Islamisation project” said Global Council of Indian Christians. In 2009 Kerala Catholic Bishops Council (KCBC) had stated that more than 2600 young Christian women were converted to Islam since 2006. KCBC’s Vigilance Commission for Social Harmony had called Christians to be on guard against the phenomenon. Rahul Eswar of the Kerala’s Hindu Parliament, an umbrella organisation of various Hindu groups called for an immediate inquiry into the phenomenon. “The state police’s attempt in 2009 was to suppress facts about this phenomenon. This will lead to communal flare-ups. Forced conversions undertaken by Islamists will be cited by Hindu fanatics to establish their legitimacy” warned he. Organisations like BJP, Hindu Aikyavedi etc too have called for inquiry and lambasted the state government’s policy to whitewash the issue under pressure from Muslim League. Hindu groups have pointed out growth in Kerala’s Muslim population rate has been double that of Hindus and Christians. Hindus, Muslims and Christians form 55, 25 and 19 percent respectively in Kerala’s population of 3.33 crore. Cherian, a former Christian housewife was arrested in Kochi for allegedly providing two SIM cards to V Noushad – her boyfriend according to the police – who is interred in Ernakulam sub jail in connection with a drug peddling case. Naushad allegedly handed over the cards to T. Nazir suspected to be a top Lashkar-e-Tayeba operative in South India who also is languishing in the same prison in connection with a number of terror cases including the bomb blasts in Bangalore. According to the police Cherian who was in Dubai with her husband and children had become friendly with Noushad who was working as a bus driver there. She allegedly left her family and returned to India with Noushad subsequently and got converted to Islam. According to police Noushad is suspected to have faked involvement in a narcotic case in order to get lodged in the jail and assist Nazeer who is alleged to have made many international calls using the SIM card. “Love Jihad” had kicked up much dust in 2009 in Kerala and Karnataka after Hindu groups like Hindu Aikyavedi and Sree Rama Sene began campaign against alleged attempts to lure young women by Muslim youths feigning love and using them for immoral or terror activities. The issue acquired serious attention when the state high court ordered asked the police to inquire into the allegations related to love jihad. This followed the complaints filed by the parents of two Hindu college girls saying their two Muslim college mates had cheated them into converting to Islam by promises of love. But the state police after investigation had informed the court that though there were complaints about attempts to convert by feigning love that there was no evidence for the existence of an organisation named love jihad in the state. After this the court withdrew its order to inquire into the issue. In another case in 2009 Karnataka Police too had informed the Karnataka high court that there was no evidence for the prevalence of love jihad in that state. This led to the fizzling out of the campaign by Hindu and Christian groups about the phenomenon in both states. Muslim groups condemned the repeated attempts to spread hatred against Muslims in the name of a non-existent love jihad. Muslim League, second largest constituent in the ruling United Democratic Front (UDF) government has strongly denied occurrence of any forced conversions. Randathani, MLA and League’s secretary. “It reminded of the racist propaganda in the US some time ago against blacks who were accused of luring white women. It is an attempt to demonise the Muslims” Umer Tasneem, Muslim scholar and English professor at the Calicut University. He smells a rat in Chief Minister Chandy, a Christian, not revealing the statistics of conversions to Christianity. “Why only conversion to Islam evokes emotions? Conversions to other groups are seen spontaneous”. Eswar too says Christians still lead in organising conversions. “A single major evangelist in Kerala has officially admitted of receiving more than Rs 1000 crores last year as financial contributions from abroad. Pentacoastal Missions in Kerala have converted lakhs of persons in last 5 years giving allurements” says Eswar. According to top sources in police as many as 15 lakhs have been converted to Christianity in the last 20 years as per official statistics provided by the State Converted Christian Corporation. “Muslims have only two institutions and Hindus only one who have the authority to convert. But every Christian church has this right” said a top police official. According the Christian Persecution Update, a website run by Bangalore-based Christian group, Cherian was only the latest victim of Love Jihad also called Romeo Jihad, a global project by Islamist groups to lure women from other communities feigning love to make them accomplices in immoral or terror activities. “It is a serious issue. We should seriously address it so that no tension is created in Kerala between communities” warned Fr Paul Thelakat, spokesperson of the Syro Malabar church, the largest Catholic church.